We build professional custom made latex puppets. 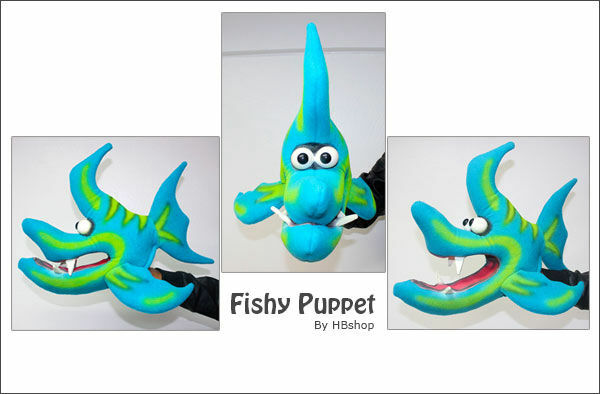 We can also make custom foam puppets, or a combination of latex and foam puppets according to your specific needs. Our puppets are built for professionals! We make our puppets out of high-quality, durable materials. This guarantees ease of manipulation, lightweight design, balanced movement coordination and amazing stage appeal. Amaze your audience with a puppet that reflects the quality of your performance. At All Pro Puppets, each puppet is handmade using high quality materials which ensures that your custom puppet will not degrade over time and will never fail during a performance. Our production team here at All Pro Puppets strives to create the most realistic, durable and professional custom puppets. Every puppet comes with a guarantee from All Pro Puppets to be free of defects. If you’re unable to find the right puppet for you act in our inventory list, please write us a brief description of your design along with some images of what you have in mind and your budget range. We will work with you personally to create a custom puppet designed especially for you that will breathe new life into your performances! We can make an amazing custom designed character exclusively for you. We can produce a puppet from your character sketches or design something new for you from a description of your project needs. Our custom puppet services start at $ 2200 and up depending on the complexity of the puppet and how quickly you need the puppet to be completed. All custom puppets include exclusive rights to you. Custom puppet character rights are owned by you, while we retain the rights to the molds. This gives us the right to reproduce future puppets for you and you only. Email us now to get a quote. After we agree on the artwork, we usually give you a lead time and start on the work right away. It would typically take 3 to 5 weeks to complete the work. Rushed orders carry an additional charge. We require a 50% deposit to begin all custom character work. Let the fun begin: we now keep you in the loop with progress picts & videos. We are always available throughout the process to make sure that we are working together to deliver exactly the character that you envisioned. The remaining balance plus shipping will be payable before delivery. These two character puppets of President Obama and actor Hugh Laurie were custom build by AllProPuppets for a video project in Hollywood CA. David, provided us with his vision of the characters along with some rough sketches of how he liked the characters to look. We had to rework one of the sketches to ready it for puppet construction. Once we started the sculpts, we kept David in the loop with email updates and pictures. The puppets heads and hands were made out of latex. The hair was punched for both heads. The bodies were made out of polyurethane foam and covered in very light fabric. The clothes were custom tailored for each character for a sharp look. Once agreed on the sketches, the puppets’ took three weeks to complete. We then made custom carry bags for the puppets and shipped them to southern California. If you’re unable to find the right puppet for you in our inventory list, please write us a brief description of your design along with some images of what you have in mind and your budget range. We will work with you personally to create a custom puppet designed especially for you that will breathe new life into your performances! 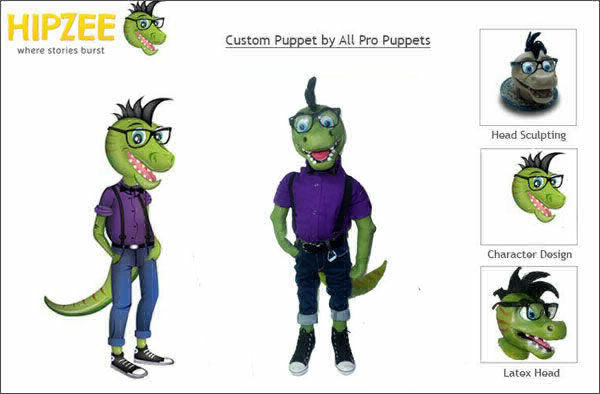 Earlier this year we were contacted by Hipzee, they were interested in having a custom puppet of their logo (pictured to the left) made. 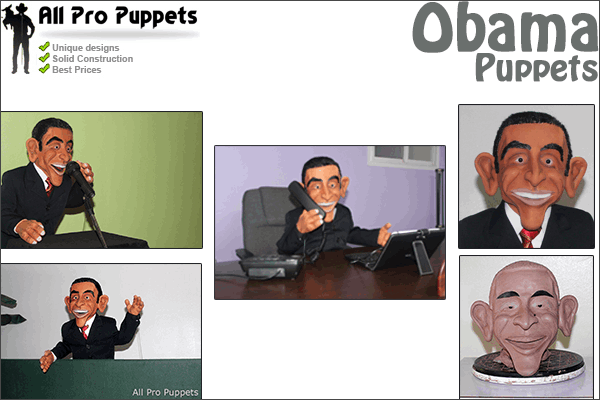 We continually worked with them in crafting and perfecting their custom puppet until the job was done. The end result (pictured in the middle) was sent home to Hipzee, they loved it! We always enjoy making custom puppets, and this one was no exception. Pictured to the right are three stages of development that the head went through.